Meet David Cools, our Boy in Belgium. Based in Vorselaar, about 30min from Antwerp, he's been riding a long time, catching the bug from his Dad when he was just 5 years old. Despite many years racing, he never really felt a professional Motocross career beckoned so launched himself into the Amateur race scene instead, with great success, becoming 7 time Champion in the International Class and achieving a 3rd in the IMBA Championship. But in 2014, at the tender age of 36, David made the awesome decision to switch to the Vintage race scene! 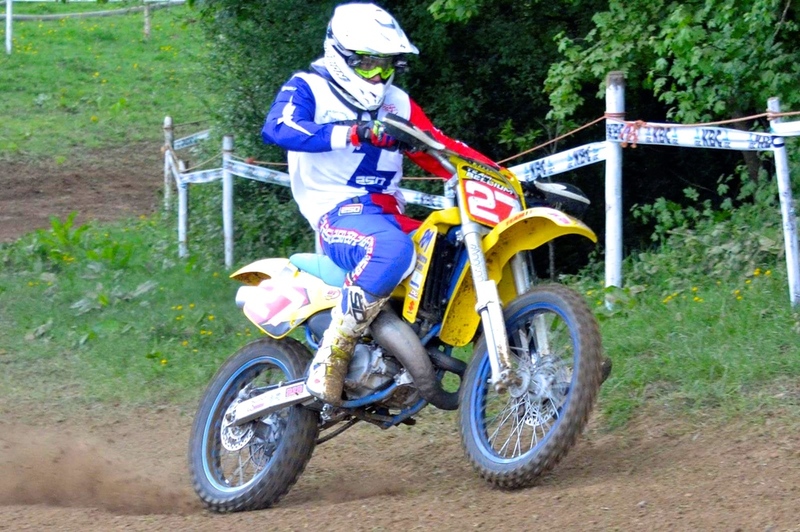 He raced for Team Belgium at the VMXdN at Farleigh Castle here in the UK for the first time, winning in the Twin-Shock class and gaining 2nd in the EVO Class, while last year they got a 4th and 3rd respectively. "On the 9th of April the Belgian Oldtimer Evo Championship started at Haacht and it was a immediately a good one for me, I won the 2 heats and placed 250LONDON on the the top box of the podium! 2 weeks later we had the 2nd race at Wichelen and again I won both heats and the overall of the day! On the 6th of May I and went to Germany for the Flugtlicht cross, it's a race at night under artificial light and it was HOT! It was an awesome experience though and there were around 9000 spectators! It was a really good race/night for me because I won the both heats and the overall of the day so a good promotion for 250LONDON! 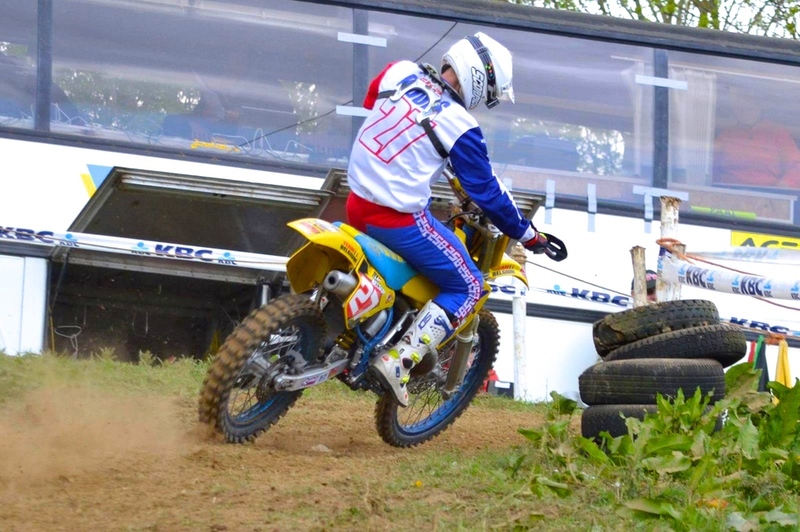 Last weekend we had the 3th race for the Belgian championship at the French part of Belgium in Moresnet. A really Old school track!!! In the first heat I got 2nd after a really bad start and the 2nd heat I won so that was good for the overall win of the day!" David has lots of races coming up so look out for him if you ride the Belgium circuit! When he's not racing, David runs the David Cools MX School where he guides and trains young riders and runs MX camps. What a guy! You can follow David on TWITTER and on INSTAGRAM. Newer:MEET TUIRE...Older:NEW 250 STOCKIST "EN FRANCE"